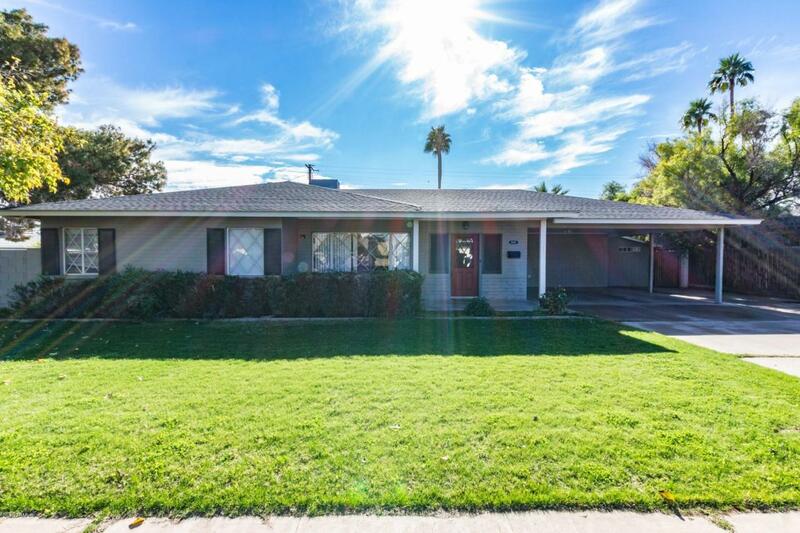 A Mid-Century charming home is located in the highly sought after Village Grove Historical District with a North/South exposure. This home features two separate family rooms with an open kitchen dining area. This floorpan has a large master bedroom with an en suite bathroom, and walk-in closet. The home has mid century style pergo wood flooring, a large covered patio, a diving pool and plenty of grassy areas for playtime, including a sand box and no HOA! Fantastic views of Camelback and Papago Mountain, centrally located in highly desirable neighborhood, easy access to canal for walking or biking. Close to ASU, Old Town Scottsdale, Phoenix Zoo, Desert Botanical Garden, Spring Training, Downtown Tempe, Mcfate Brewing, Scottsdale Fashion Square Mall, SkySong and amenities galore! !